Blue Earth, MN sits in the middle of Minnesota right along the southern edge. 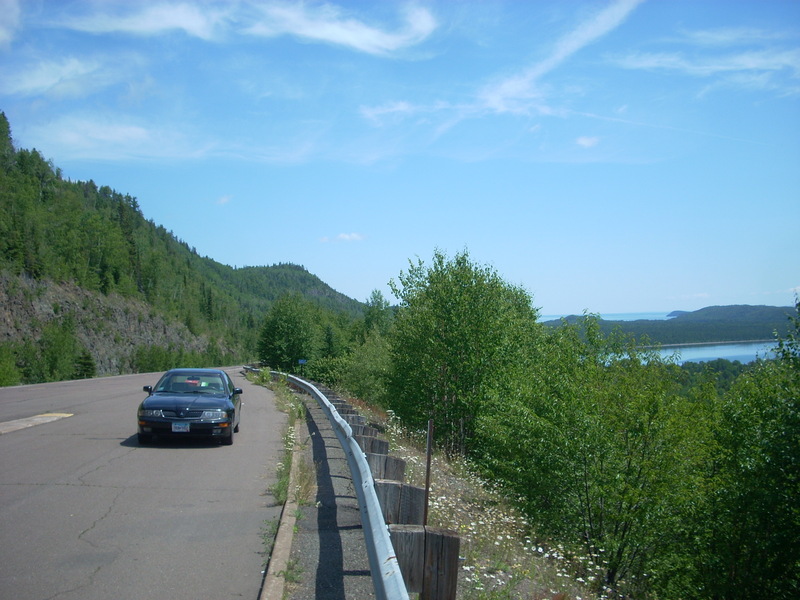 It is the mid-point of Interstate 90, which runs from Seattle to Boston. 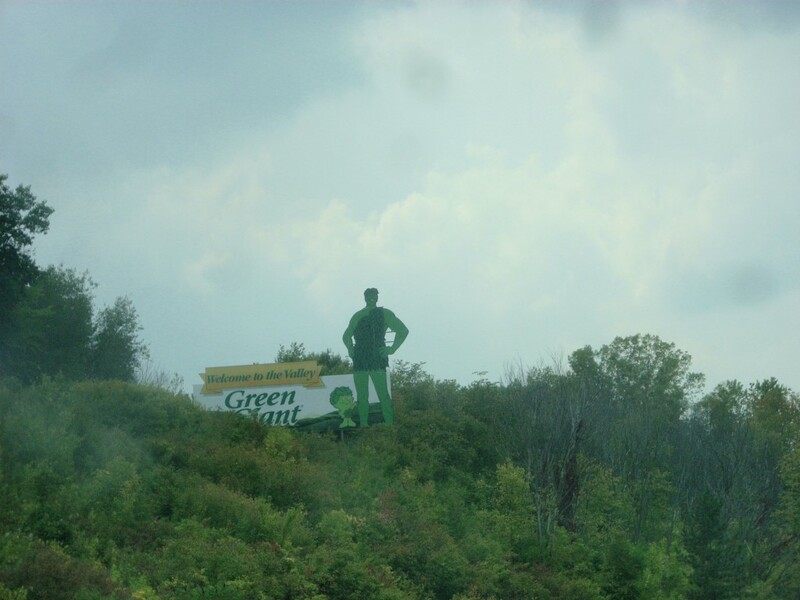 Here they decided to put up a 50-foot tall Jolly Green Giant statue, which reportedly draws in 10,000 tourists a year. 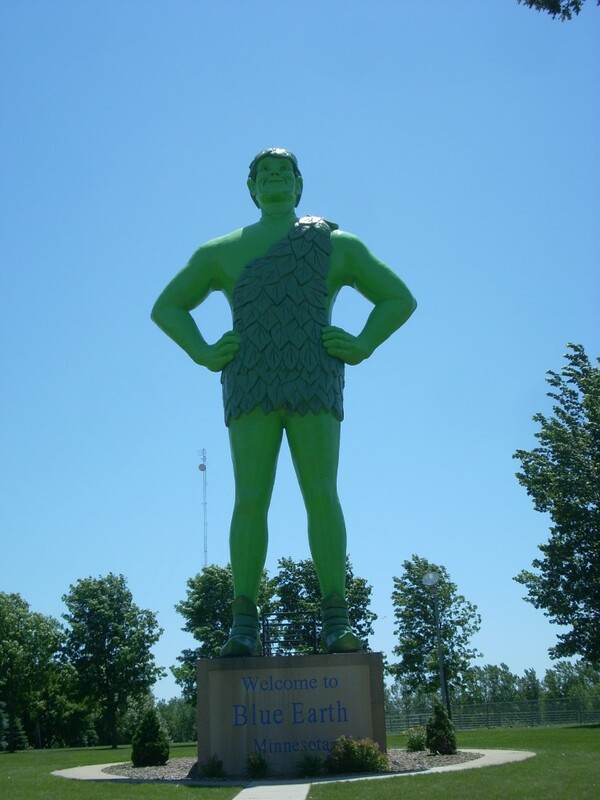 There is also a small statue of “Sprout,” the Giant’s sidekick, and a Green Giant Museum. 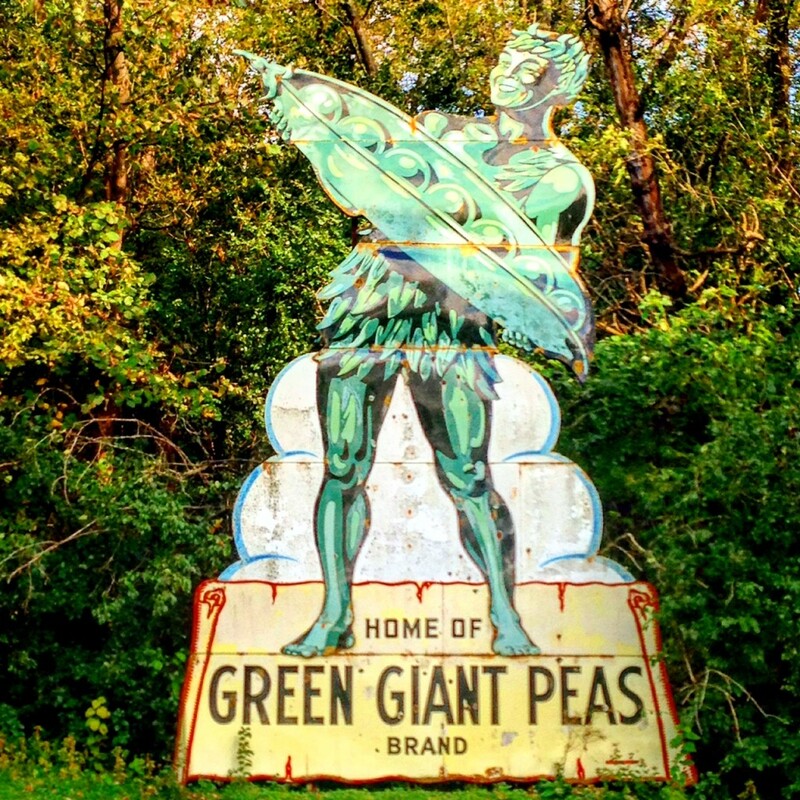 North of Blue Earth on HWY 169 in the Minnesota River Valley is another Jolly Green Giant. This one is part of a sign and has been there as long as I can remember. The Minnesota Valley Canning Company was started in 1903 here in Le Sueur, MN and was later bought by Minnesota-based General Mills.This one is tough to get a picture of, as it is only visible from the Highway and there really isn’t anywhere to pull over here. Good luck! 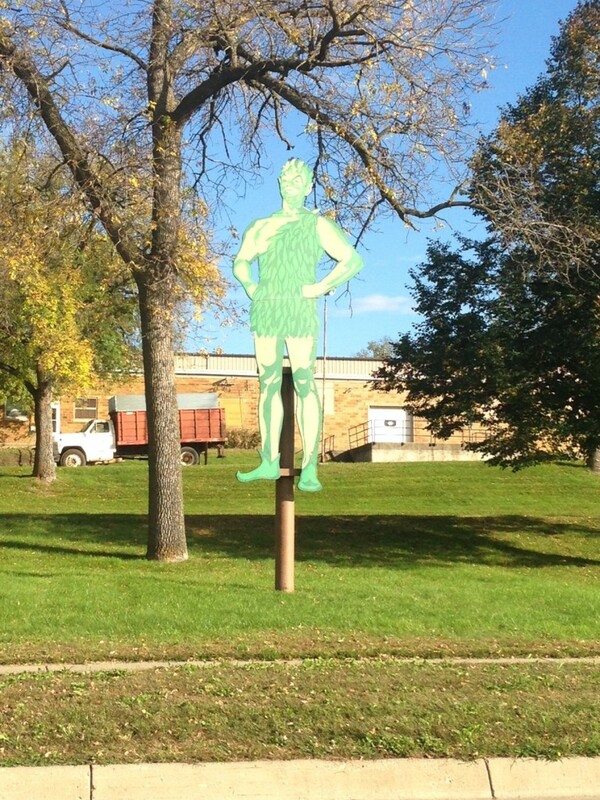 There are also a few vintage Green Giant signs around LeSueur as well. While in the area: Check out the The Dr. William W. Mayo House, which is on the National Registry of Historic Places, and has been restored to its look in 1860. Mayo went on to found the world renowned Mayo Clinic in MN. This entry was posted in Highway Highlights and tagged Big people, MN, World's Largest by Seth5544. Bookmark the permalink. Long live the Jolly Green Giant! Ho! Ho! Ho! I am 75, now in Louisiana…… I grew up in Le Sueur on a farm where we grew corn and also peas for Green Giant. My very first job was part time at Green Giant. I remember the statue as a great thing. Some boys in our high school a few times climbed up and put a bed sheet on him like a diaper. Le Sueur was such a peaceful happy place and we had a wonderful school, everyone got along so well. I actually still keep in touch with a few old friends….and ESPECIALLY my 4th grade teacher who is 101 now.